Upon entering River Gallery located in the beautiful Bluff View Art District, walls and pedestals display fine art and craft. Paintings, sculpture, ceramics, wood, jewelry and even more media in abstract, conceptual, realistic, and representational forms are found throughout the several rooms in an early 1900's former home. 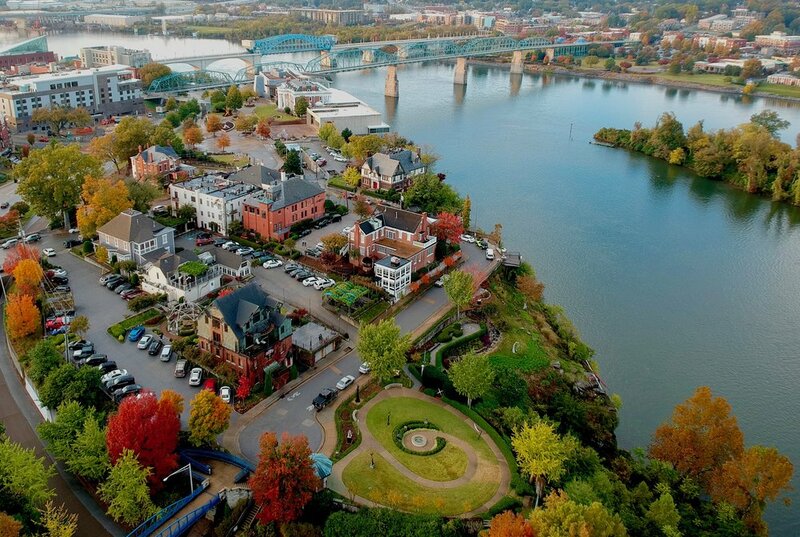 Being a pioneer in the Chattanooga art community since August 1992, River Gallery represents local, regional and national artists with all work being for sale. Seeking and acquiring artists who produce new technique provides diversity in the gallery's collection. 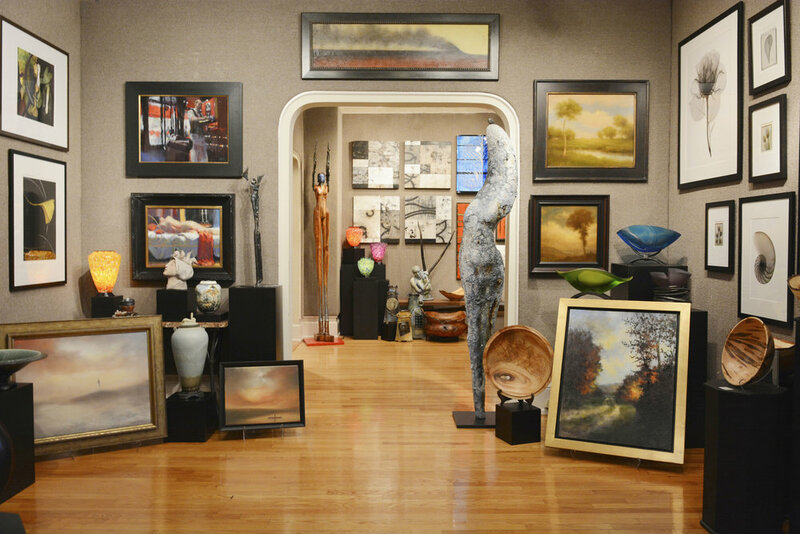 Art collection consultation, commissions, and art trial services are available with our gracious and knowledgeable staff's assistance. Our staff is also available to assist with art placement in private and corporate collections. New monthly exhibits open with a reception each first Friday with the artists usually in attendance to meet the public and talk about their work and process. Gift certificates, complimentary gift wrap, shipping, and layaways are available upon request. With a respected permanent collection of national recognition, River Gallery Sculpture Garden is located in two-acres overlooking the beautiful Tennessee River. A new exhibit of outdoor sculpture opens each year in June and is available to purchase while on display.